Bill 'Yazid' Johnson is an accomplished musician who is talented on a variety of musical instruments. Bill has performed nationally in a variety of successful bands over the years. He is a percussion instructor and continues to write and perform music on a variety of instruments. 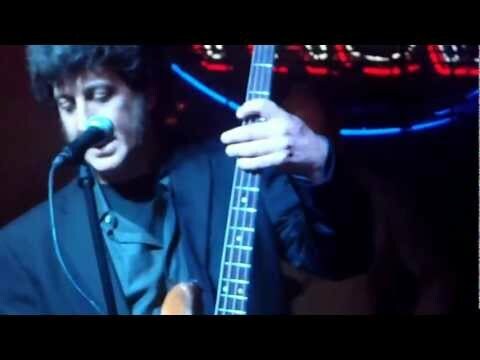 Chuck Carbia has performed nationally and internationally over the past 20 years. His father, Enrique Carbia and his uncle Eddie Carbia performed Latin music as The Carbia Brothers Trio featuring Leo Rosa in the 50s and 60s. They were contracted in NYC, Miami and Puerto Rico and performed with many top acts including Tito Puente, Tony Bennet and Desi Arnaz. Chuck Carbia is currently a professor of Fine Art at Florida State University, Florida A&M University and Chipola College. Paul Harvey began playing drums and percussion at the age of ten. He has been developing his technique and performance style by playing a variety of genres and studying with some of the best percussionist from around the globe. Paul has toured extensively and recorded many different styles from Country to Caribbean. He enjoys teaching and performing every chance he can get. On guitar, Patrick McKinney is the newest featured guest in the group. 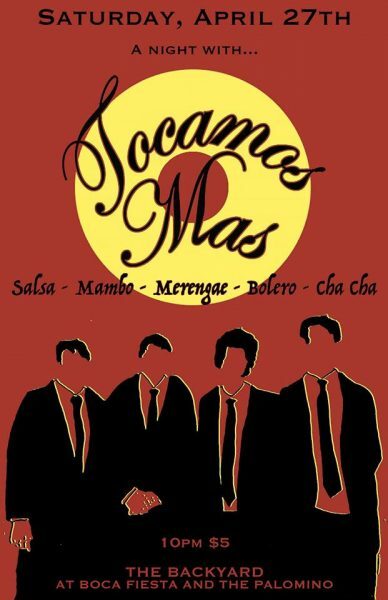 Traditional latin music all night with Tocamos Mas! Tocamos Mas performs traditional latin arrangements and dance music combining keyboards, congas, timbales, bass guitar, and vocals. The core group consists of William “Yazid” Johnson on keyboards, Chuck Carbia on bass guitar/lead vocals, Paul Harvey on congas and timbales/backing vocals and Patrick McKinney on guitar. The band often features other guest artists on brass, strings and percussion. 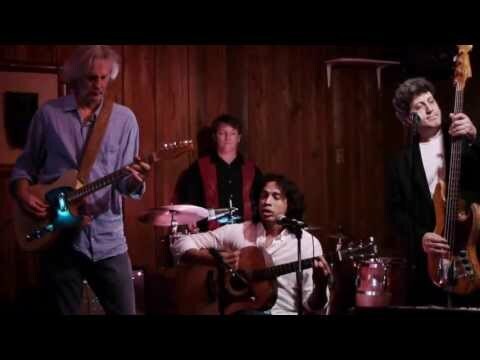 "Tocamos Más At Mockingbird Café Video 3 Of 12"
"Tocamos Más Live At Water Works Performing Buena Vista Song"